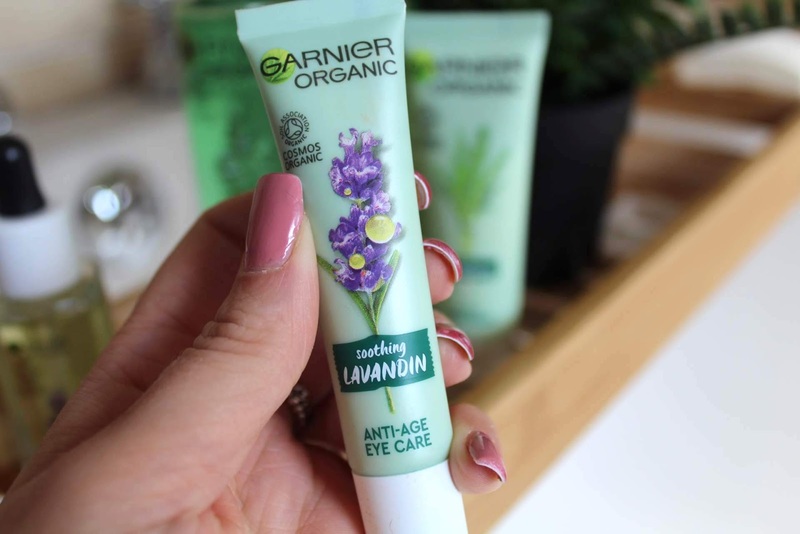 I accidentally came across this range in Superdrug, someone had spilt some of the Lavandin oil and I am sucker for smells so my nose hunted it down and I was presented with the Garnier Organic skin care range and I had to buy it and not tell Luke I was spending money that I shouldn't again. I've been using the skincare for over a week now so this is more of a first impressions post than a review because it usually takes 2-3 weeks to get a good idea of how something is working for my skin. I'm not one to switch up my skincare too much, if something is working for me then I tend to stick to it rather than mess my skin around with new products all the time but since the stroke, the stroke stress, this ridiculous weather and coming off the pill, my skin has been lacking some TLC and smelling the collection was enough to persuade me that I needed to give it a bit of a skin-cuddle. I'm also very conscious of the slight wonkiness of my face, whilst I'm fortunate enough to have recovered to the point where my stroke is no longer visibly noticeable and barely when I talk, I know that my lower eyelid doesn't work and I can see that smile lines appear on the side of one eye and not the other and usually, in these kind of situations I tend to ignore / neglect the issue until it goes away or, get fixed. For example, when I decided I was going to dye my hair darker (yeah I'm brunette again) I couldn't really be arsed with my hair anymore and my appointment was a few days away so I just shoved it up on top of my head and ignored it until it was sorted...I can't do that with my face can I. So, as cheesy as this sounds, I decided to own my face, to touch it and care for it and get to know it again despite the wonkiness that I don't like and the muscles that don't work because there's a chance they might not ever work again so I better get used to my face. I didn't snap up the whole collection because it wasn't all there and I can't afford it but I got some key items that really stood out to me, first being the Lavandin Anti Age Eye Cream. I got this not only to tackle some of those wrinkles that have crept up on my eyes (one side) but to also help me with massaging my face, some of my recovery involved regularly massaging the dead side of my face to encourage blood flow and try and stimulate the nerves that aren't quite doing their thing properly. Whilst I haven't noticed any immediate reduction in the appearance of fine lines or wrinkles, the skin around my eyes certainly feels less dry and looks much more supple which is always a winner really isn't it. As I mentioned above, it was this product that lead me over to the display stand and I'm not mad about it. The smell is incredible and makes me feel immediately relaxed - I apply this at nighttime because it really chills me out and taking the time to massage it into my face is something that I'm starting to enjoy which is always good. I've also ordered a Jade Roller from my pal Nikki because if you're not rolling oil on your face then what are you doing with your life?. 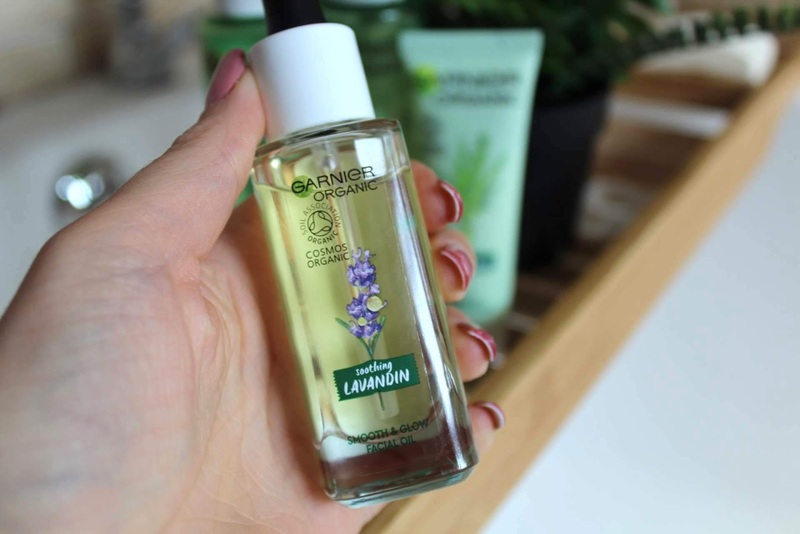 Garnier were right about skin instantly feeling nourished and softer, the oil immediately feels amazing and adds and extra layer of moisture that soaks into skin without leaving a layer of sticky residue. If I could only buy one item from the collection then I think it'd be this one. 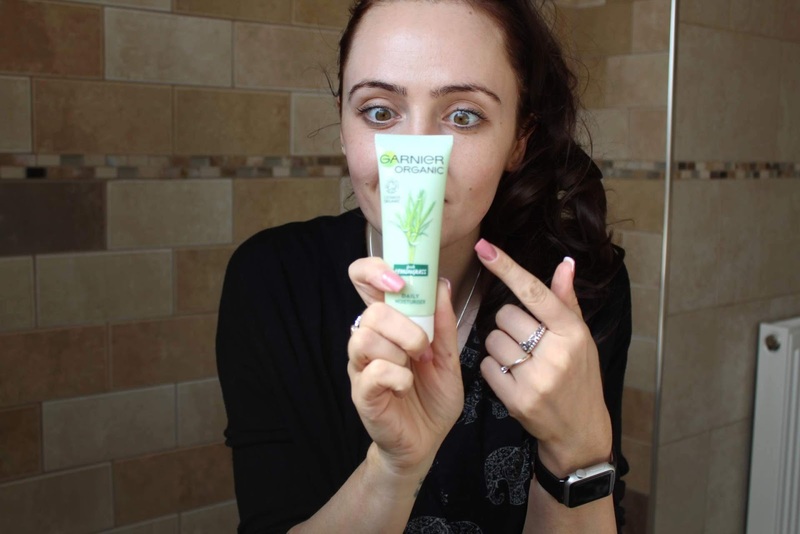 This moisturiser has become my morning moisturiser as I've found that it really does leave skin less shiny which is ideal in this hit and miss warmer weather and the way that I'm rushing around lately picking Fred up from nursery etc. I've found that the CC creams that I'm using are getting a decent matte finish rather than patches of shine where I've sweated. In contrast to the Lavandin Oil, I've found that the Lemongrass fragrance is really refreshing and wakes me up rather then relaxes but is equally as gentle on my skin. 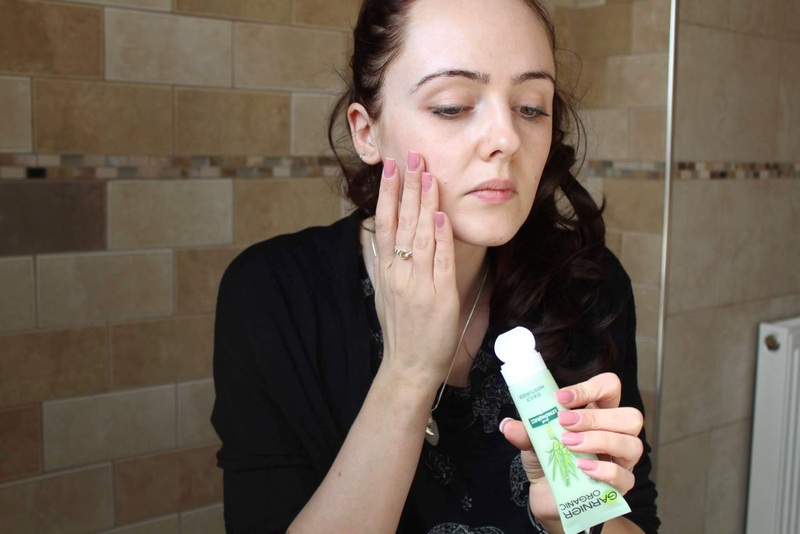 The moisturiser soaks into skin quickly and evenly and makes the perfect base for applying make up. I've been loving this toner or more, my skin has been loving this toner. It's doing a cracking a job at reducing my pores which is something that I've been conscious of since not taking much care of my face. 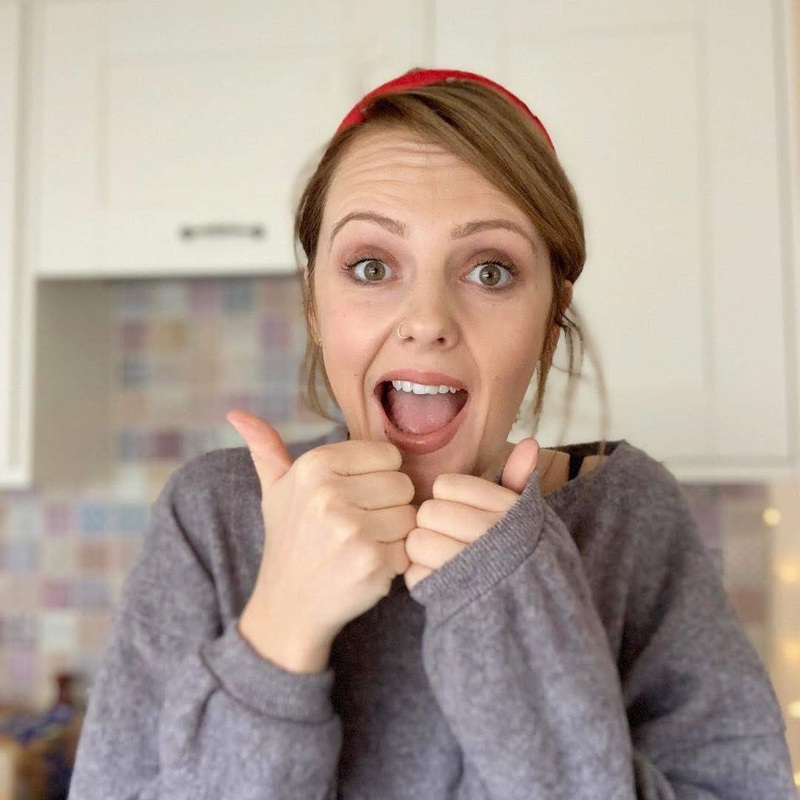 The texture of my skin has definitely changed and feels smoother and make-up is applying much easier than it was before without leaving any bumps or dry patches. As with everything in this collection, the scent is to die for and it feels both refreshing and relaxing with the mixture of thyme and essential oils. I don't find that there's not too much that can be said about face washes but this one does everything that it says on the tin as well as obviously smelling fabulous. I have noticed that after using this, my face feels clean, like properly clean rather than as though I've just rubbed dirt all over it and rearranged it. I think it's safe to say that I really like this collection, it seems to be working wonders on my skin, smells amazing (have I said that enough?) it's also vegan and dead affordable! Ooooo it looks SO nice! I love a collection like this, so easy to use and cheap too -win win! The eye care especially looks SO nice! 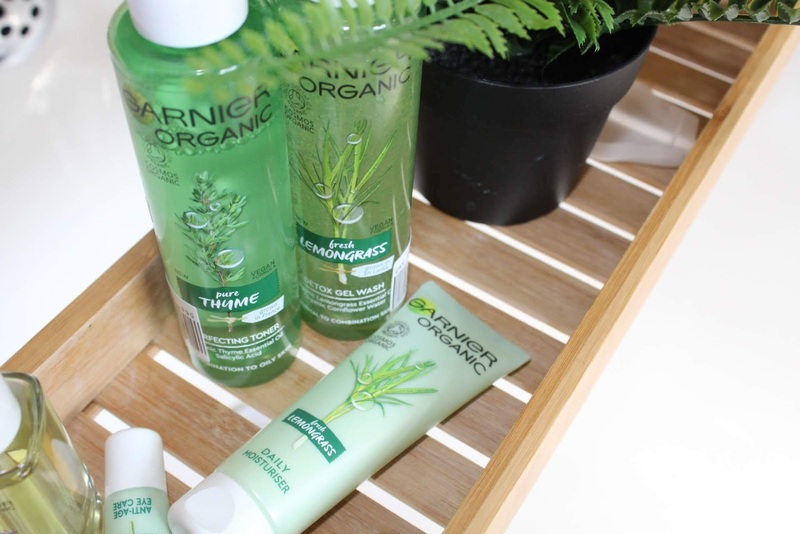 i love garnier but i've never tried this range before! i am really curious to try the Lavandin Glow Facial Oil ! i love facial oils so much! The facial oil sounds so nice. I really want to pick myself up a jade roller because everyone seems to love them. The face oil sounds lovely! 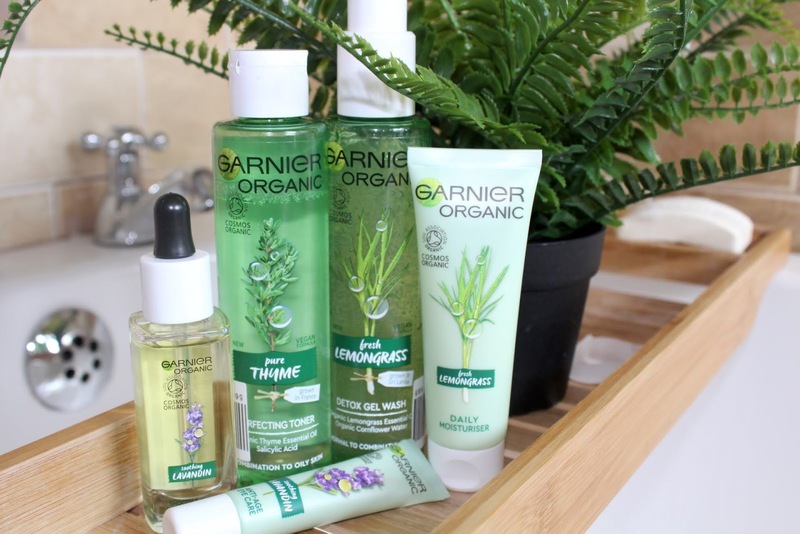 I haven't used a Garnier product in such a long time - I'm going to investigate...the face toner sounds fab! I haven't even seen this range but that oil sounds divine! Need to check it out. I’ve just ordered some things from this range, it sounds lovely.